Social media platforms are no longer just where teens and college students spend their time. 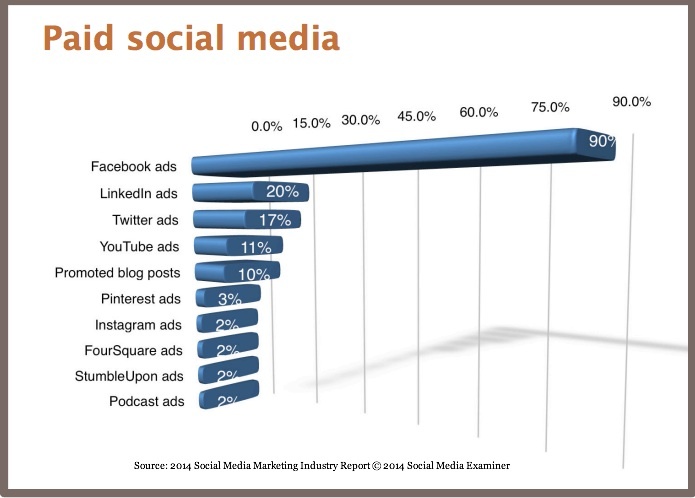 2/3 of marketers rank social media marketing as very important to their business. Translation: Social media yields tangible business results. Social media marketing is no longer a flash-in-the-pan marketing fad you should consider testing. 1/3 of marketers have been actively using social media as part of their marketing mix for 3 or more years. Translation: Social media is being integrated into their marketing DNA. As a result, they’re building corporate social media experience and reach. 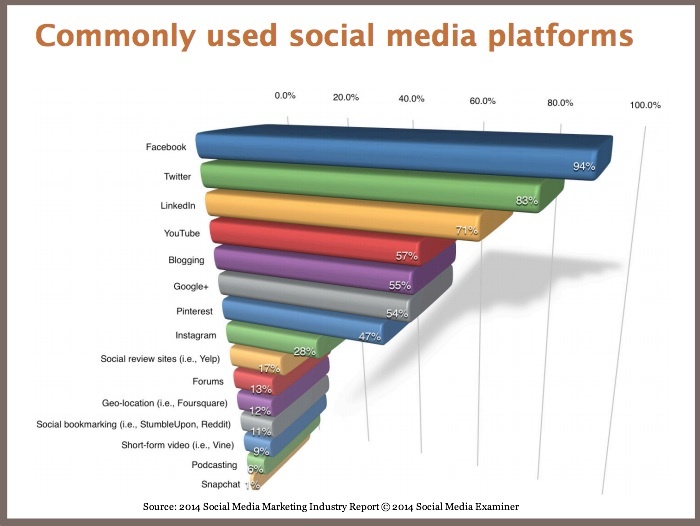 Facebook, Twitter and LinkedIn still dominate the most commonly used social media platforms 2014. Search-friendly content marketing homes, YouTube and Blogging, clock in at positions 4 and 5. While marketers need to use a mix of social media platforms, Facebook still remains the “must-have” site. 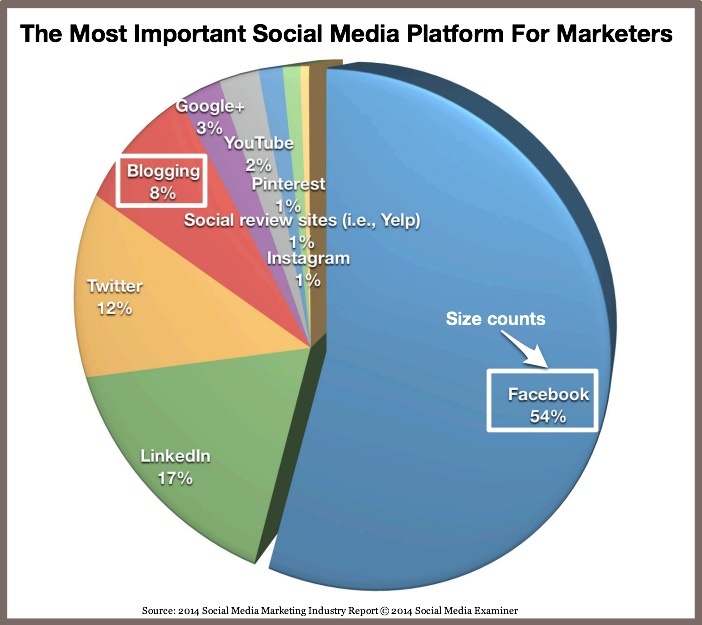 54% of marketers rank Facebook as the most important social media platform 2014. 1. Facebook is a must have. Regardless of whether you’re B2C or B2B marketer, Facebook still tops the social media platforms 2014 lists. If you’re not up-to-date on this platform, then you need to get up-to-speed quickly. In some locations around the world, Facebook may be the only social media platform. Facebook action is moving to a mobile-only world. This means more snacking on-the-go and less interaction and lower potential organic reach. While raving fans may be active on Facebook, prospects and customers expect you to give them something in return for liking and engaging with you on this social media platform. It usually means targeted discounts. Expect to support your Facebook marketing with on-site advertising. 90% of marketers use Facebook ads. To put this in perspective, 43% marketers think that their Facebook marketing is effective while 37% are uncertain. 2. Twitter still gets marketing eyeballs. Twitter enables you to provide tidbits of news and data all day long. It performs slightly better for B2B than B2C. Through the use of hashtags, you can broaden your reach. The big challenge for Twitter is the short lifespan of each tweet. It’s a great place to attract an audience by curating other people’s content. Beware of only promoting your information – you can lose your followers. 3. LinkedIn is the long time home of B2B marketers. LinkedIn is small businesses’s top social media platform of 2014 according to UMass Dartmouth research. In part, this is attributable to the fact that it’s where hiring takes place. 4. 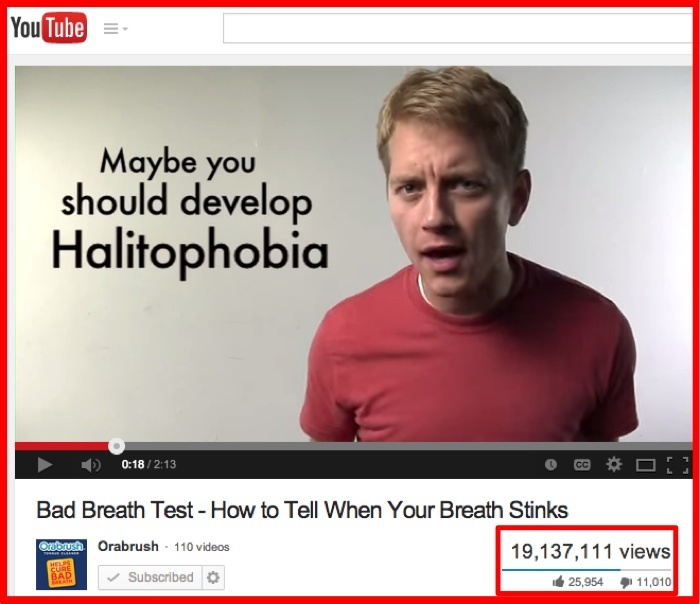 YouTube is a content marketing platform where brands are built. B2C Orabrush, which makes a tongue brush to combat bad breath, and B2B Blendtec, a maker of industrial blenders, have built their viral brands and companies using entertaining videos on YouTube. 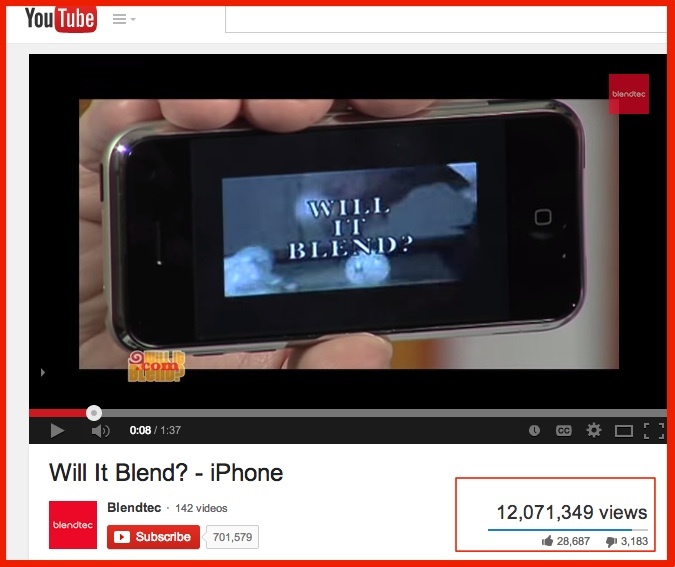 YouTube plays to viewers’ attraction to video content. Millennials are starting to choose streamed content over traditional television. Think like a director on YouTube by being present, showing your products in context, and talking to your prospects and customers. 5. Google+ is part of Google; ignore it at your peril. Whether or not you consider this a social network, it’s a must have to support your search efforts. 6. Blogging isn’t always considered a social media platform. In 2014, blogging declined to 8% from 18% in 2013. That said, blogging tops the list of where marketers plan to increase their spend. This makes sense since blogging provides a combination of social media, content marketing and search optimization. It’s owned media where you can easily serve the 5 main content formats: product information, customer FAQs, how-tos, styling and ratings and reviews. So why isn’t it higher up the chart? Business blogging done well requires resources, both people and budget, to continually create quality content on a regular basis. 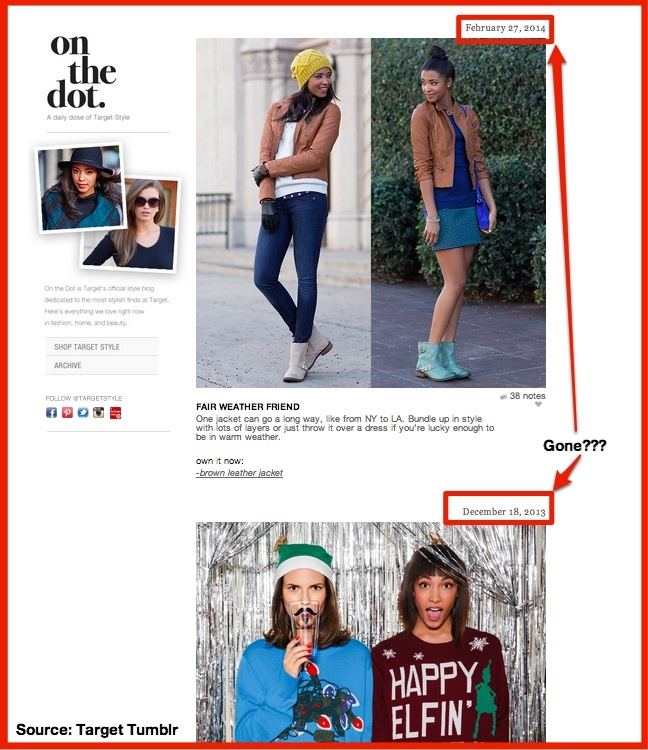 That said, done well, a blog can yield trackable results. The Sales Lion had one post yield over $2 million in sales. As a small business, you can appear larger than you are. 7. Pinterest is for women. Women rock Pinterest, comprising 92% of the pins!!! 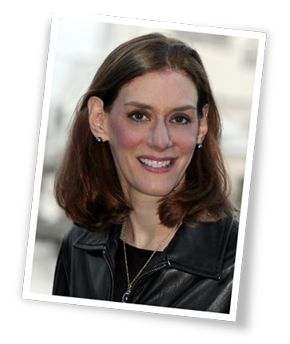 Ignore Pinterest at your peril, especially in the US where women control the purse strings. Pinterest is still the go-to place for DIY, Food and drink, and home decor. At a minimum, use Pinterest to build your brand and show prospects and customers how to use your products. 8. Instagram photos attract attention. Instagram benefits from being an easy-to-use mobile based (you need a smartphone to use it) social media platform. It helps sell product since prospects and customers can get instant feedback on your offering from friends and family. With Instagram, everyone can be a social media darling, including your grandmother! Hurry while there’s still growth potential and companies are still trying to figure out this platform. 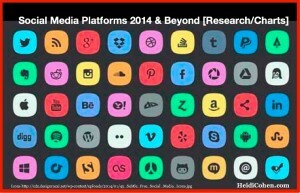 What’s missing from this social media platforms 2014 list? The following 2 social media platforms weren’t on the charts at all. 9. 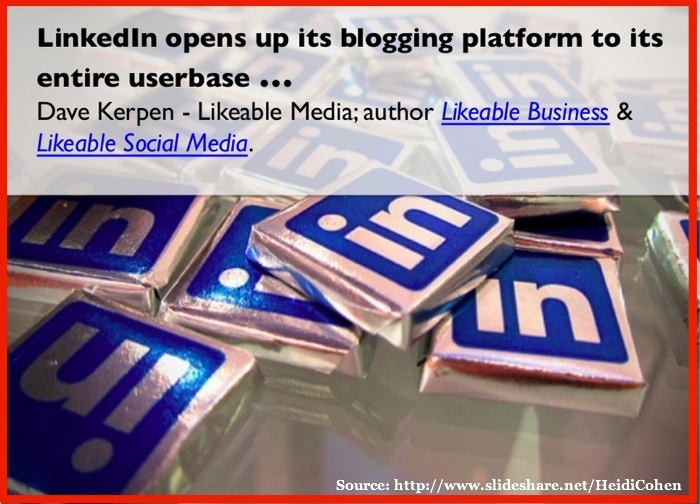 Slideshare is B2B’s secret social media platform. 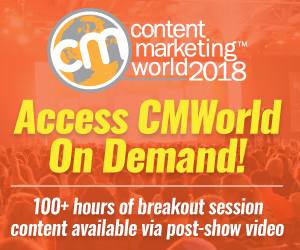 While marketers can use a variety of content types on SlideShare including presentations, ebooks, video and PDFs, it’s still not center stage for many marketers. SlideShare is B2B gold. Maybe that’s why marketers want to keep it quet. Part of the strength of SlideShare is in its premium features and integration with LinkedIn enabling marketers to generate high quality leads. 10. Tumblr was the teen magnet and microblogging darling. But since its purchase by Yahoo, Tumblr has fallen off the social media radar. Target’s On The Dot was the premier example of how-to and styling content, but now no one is home. Target had the resources and connections to leverage and create amazing content on this social media darling. It’s current absence is a strong statement. Social media marketing isn’t a set it and go marketing strategy. Social media platforms in 2014 and beyond will require more resources, in the form of people and budget, than they have in the past for your brand and business to grow and flourish. Use a mix of a variety of social media platforms to maximize your results. 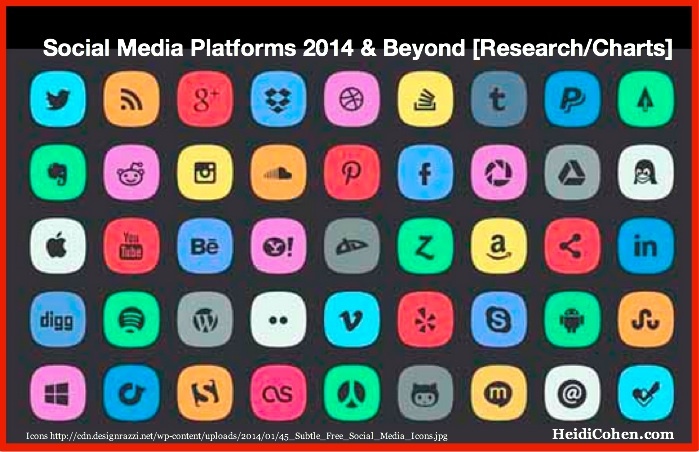 How are you using social media platforms in 2014 and beyond? What is your favorite platform and why? Tags Andy Crestodina, Blogging, Chart, Facebook, google+, Instagram, LinkedIn, Pinterest, Research, Slideshare, TUmblr, Twitter, YouTube. Bookmark the permalink. Those tools are all great in their own different functions! Nice! Let me share my favorite app that I find really useful, it’s called Socialdraft. My favorite function so far is CreatePro. It is the Social Calendar that allows you to drag and drop all your posts, schedule them and visualize what your month looks like. It’s perfect for the social media maven who wants to schedule 10, 20, 100 posts over the course of next few weeks. Check it out here at http://socialdraft.com.